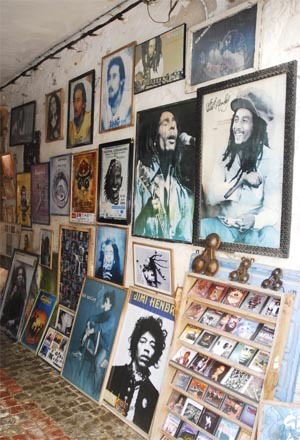 So what about Bob Marley? Did he ever visit Essaouira? His group The Wailers visited the Gnaoua festival in June 2004. 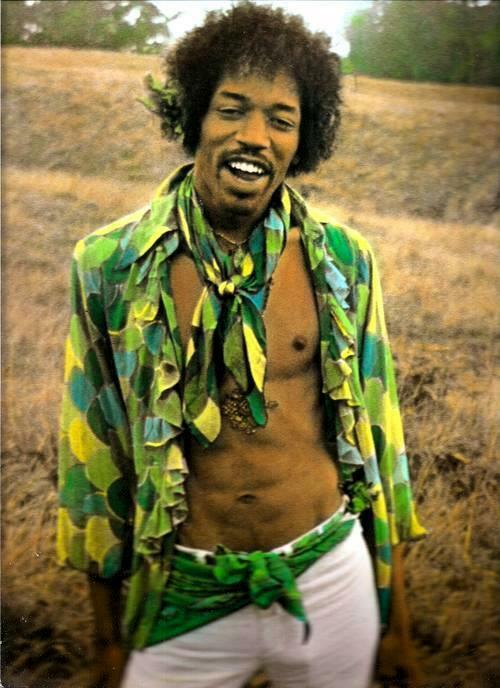 Timothy Leary was not in Morocco during the time Jimi Hendrix was there. 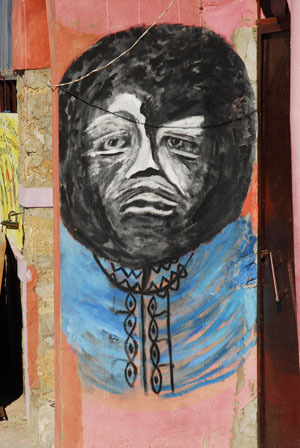 Opera singer Maria Callas is one of the celebrities who favoured Essaouira in the Sixties. 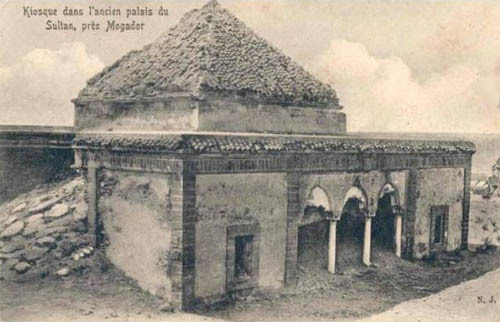 In 1969 the Living Theatre with followers stayed in Essaouira. 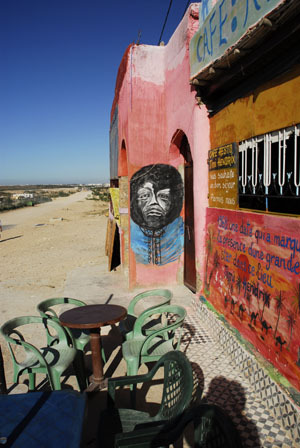 Paul Simon (Simon & Garfunkel) has visited Essaouira. Ira Cohen (1935-2011) lived in Morocco for 4 years and visited Essaouira as well. 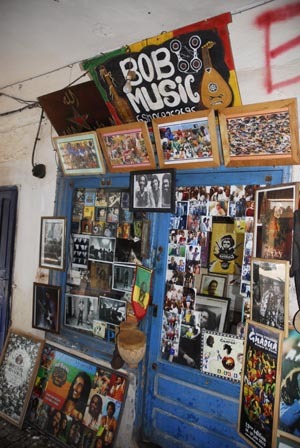 The Rolling Stones, Frank Zappa, Bob Morsison, Jefferson Airplane and Cat Stevens... are among other music celebrities said to have visited Essaouira. 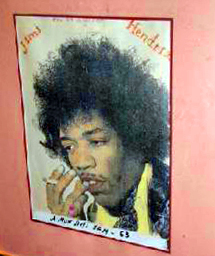 Essaouira loves Jimi Hendrix ! 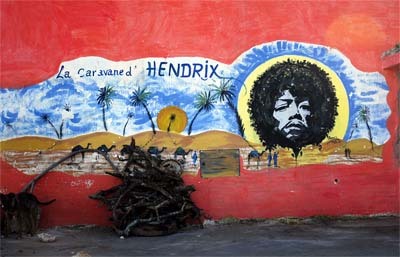 Jimi Hendrix (1942-1970) is an icon in Essaouira, because he once visited this town in the summer of 1969. People love to tell you about him and there are many remarkable tales and fictitious stories about what he did here. 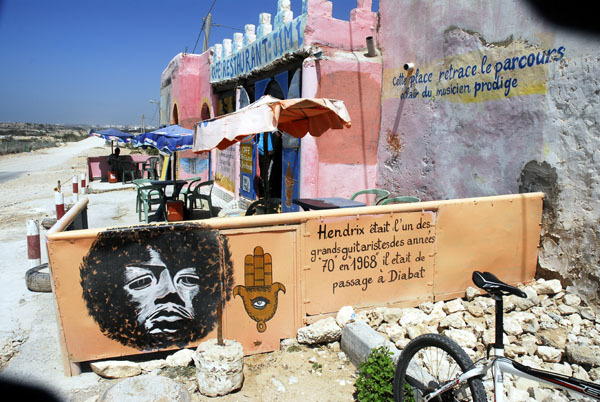 These legends and myths about Jimy Hendrix is a vital part in Essaouiran culture. 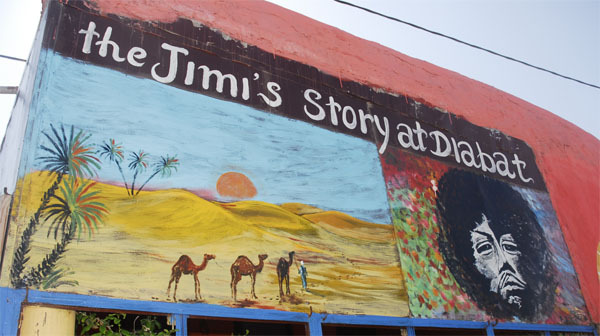 "The people of Morocco have never recovered from Jimi’s visit and the tales are remarkable. Like George Washington he slept in everyone’s house around the Moroccan countryside!" 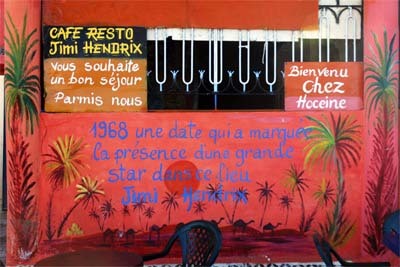 (source: Deering Howe - who flew with Jimi Hendrix to Morocco- to Caesar Glebbeek, 28 January 2005. Nice one, Deering!). 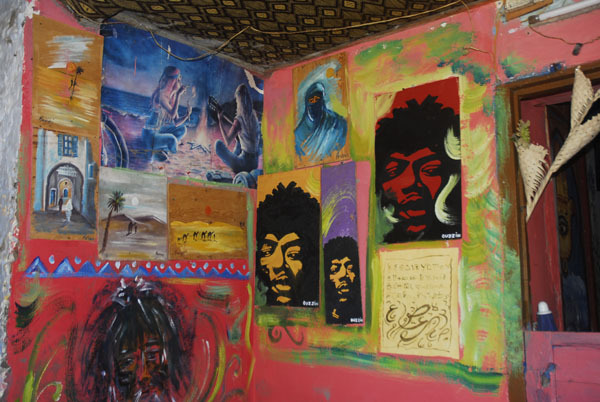 Probably true is that Jimi Hendrix, when visiting Essaouira, stayed at Hotel du Pacha (Today Hotel Riad al Medina) which later was famous being a "hippie" hotel. 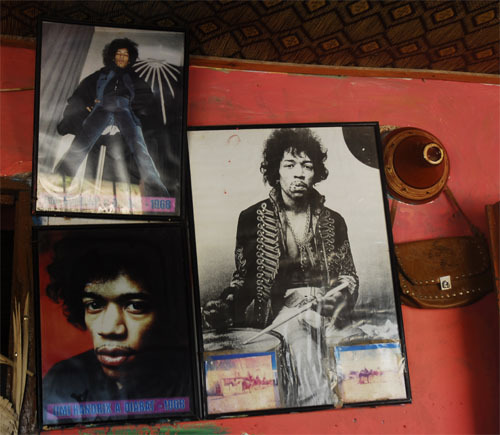 "Jimi Hendrix came in July 1969, and spent 11 days in Essaouira. He arrived in Casablanca, with a scheduled flight from Paris, accompanied by two friends.He rented a limousine to leave the airport and stayed in 3 different hotels, including "Hotel des Iles" in Essaouira . He never tasted the cuisine of "Chez Sam", as the restaurant did not exist in 1969. He has not ever wanted to buy the village of Diabet, since there would never be gone .. . And the song "Castles Made Of Sand" was released in 1967, two years before he arrived in the city of trade winds." 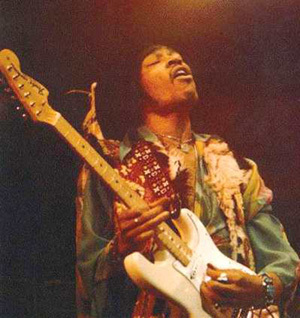 This exclusive documentary explored the last 24 hours in the life of Jimi Hendrix and explores the rumours and fabrications that surrounded his demise in 1970. 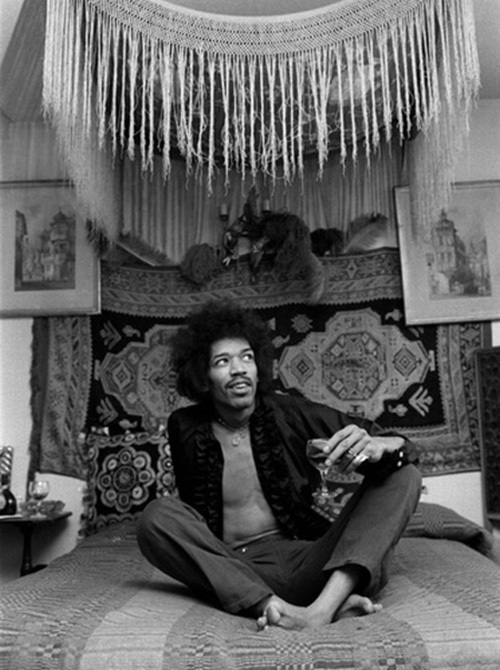 The loss of one of the best rock talents shocked the World and the mystery surrounding the story shows they closed Hendrix' case too early, dismissing him as another drugged rock star incident. In this compelling documentary, evidence is pieced together along with previously undisclosed information and the producers come to certain conclusions as to the reason for the cover-up. Featuring contributions from Jeff Beck, Pete Townsend and Eric Clapton. 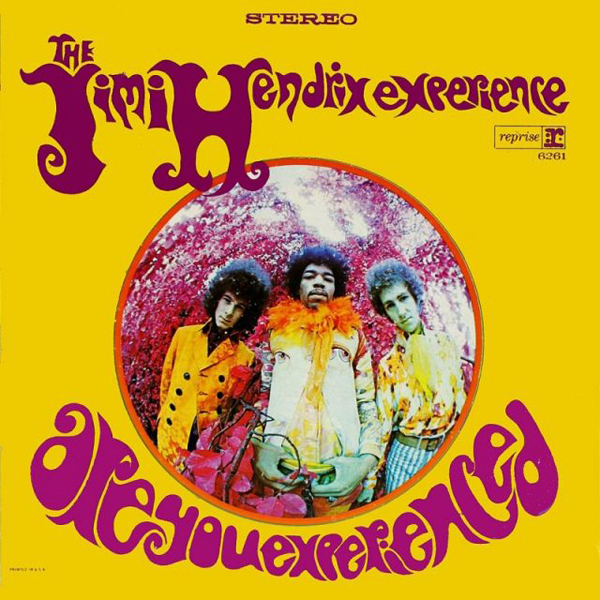 and it is widely regarded as one of the greatest debuts in the history of rock music.